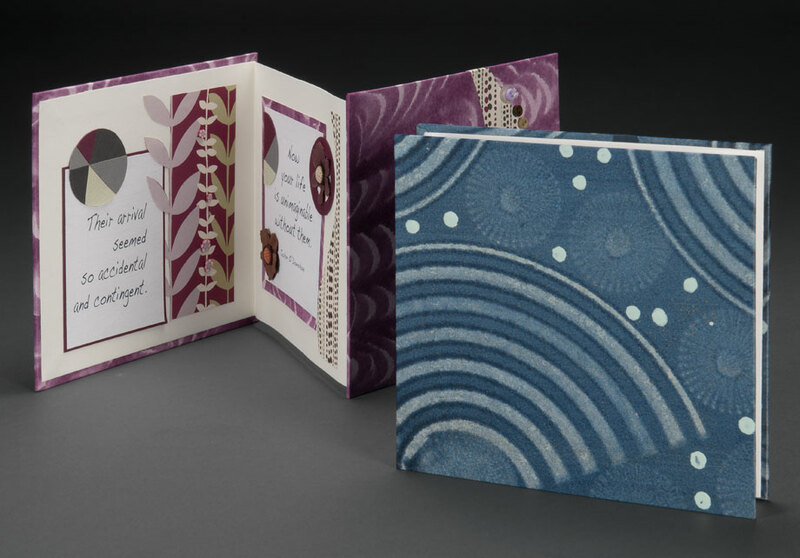 Each quotation is mounted on watercolored, marbled or acrylic paste paper and embellished with a variety of handcrafted or ready-made details. 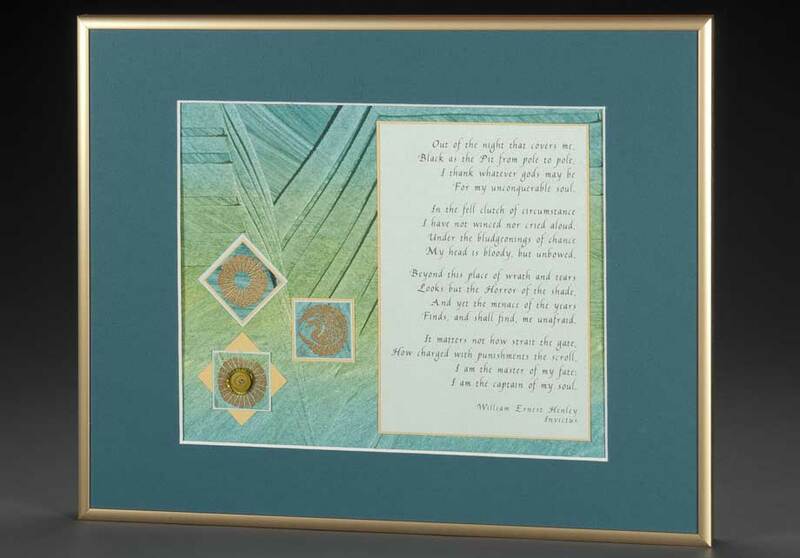 Each quotation is mounted on watercolored, marbled or acrylic paste paper and embellished with a variety of handcrafted or ready-made details. 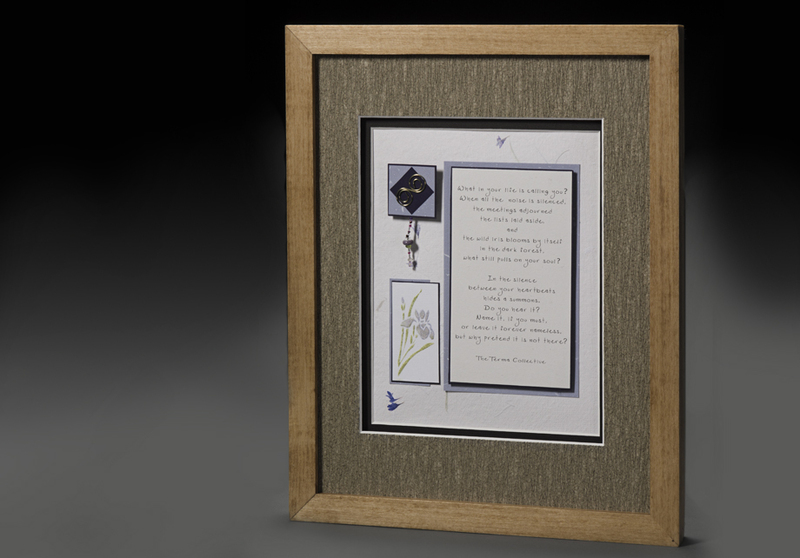 The quotation is single or double matted. 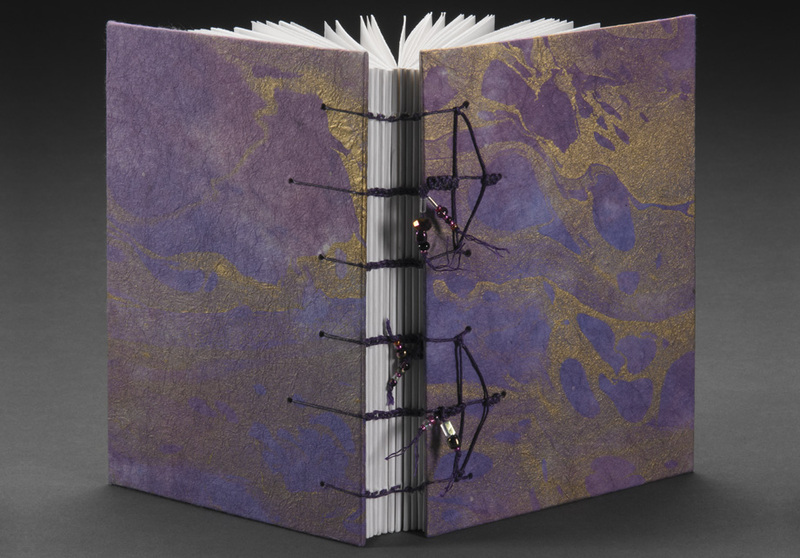 Who would believe this beautifully styled little book actually holds a pad of Post-It™ notes? We've taken the ordinary & made it extraordinary! 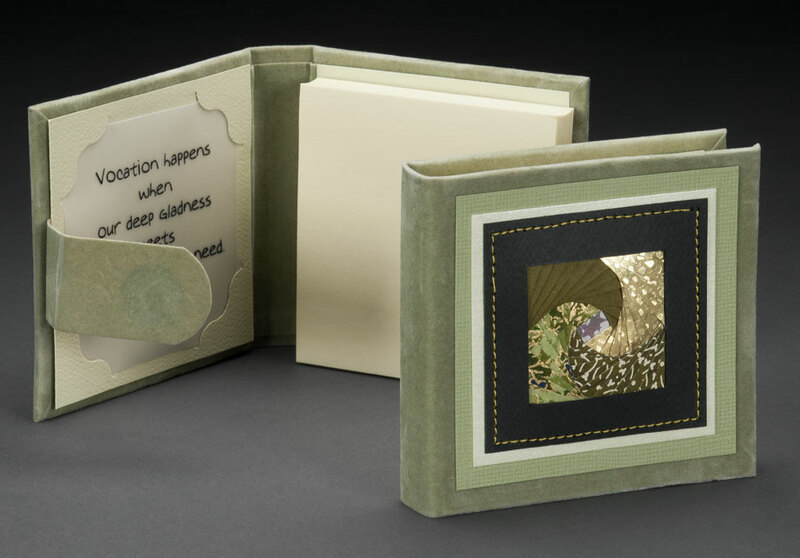 This petite book with more than 120 hand-sewn pages is perfect for holding memories of all kinds: pictures, quotes or even a guest book for your next event. 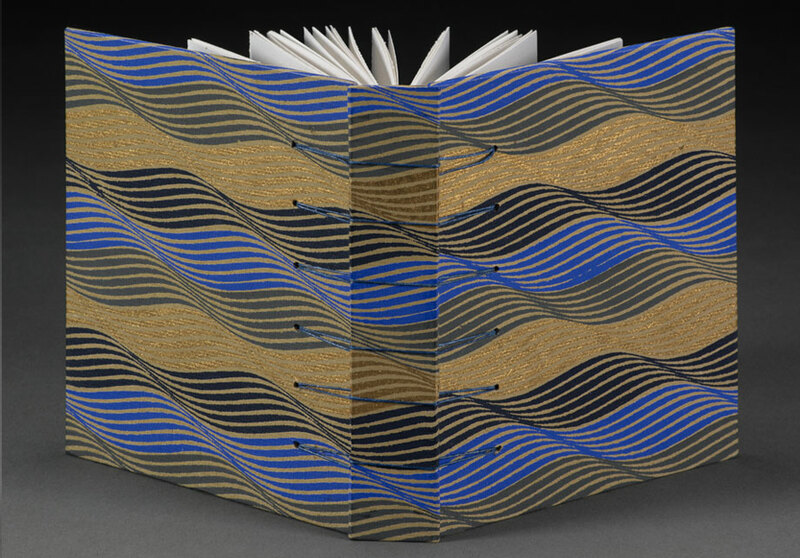 Based on the Book of Hours, the Long Journal can be used two ways: for inspiration & contemplation or for organization & documentation. 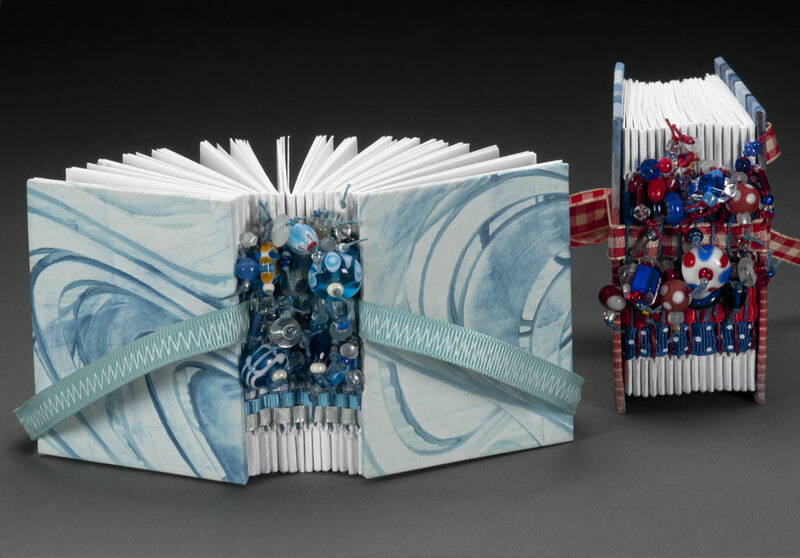 Book board is covered with artist-created acrylic paste paper and bound with extension posts. Put beautiful thoughts on display! Color and texture combine to showcase wise words. 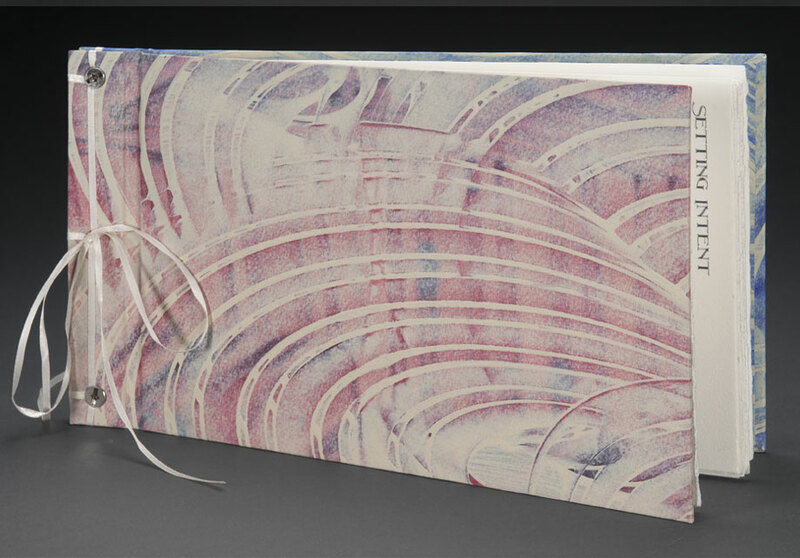 Original handcrafted watercolor or acrylic paste papers cover book board to create books with lasting appeal. 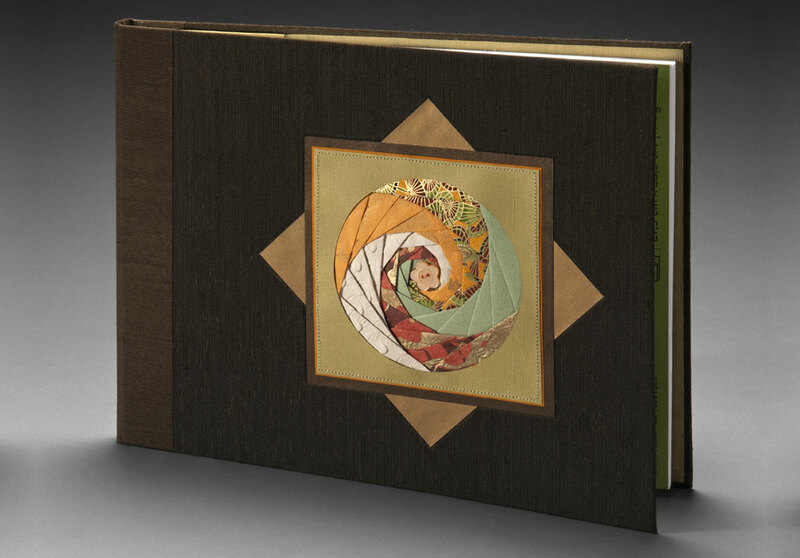 Designed to hold artist pads of varying types and sizes, this oversized book is covered with book cloth and decorated with an Iris Folded design on the front. At the center of the design is a lampwork bead in complimentary colors. 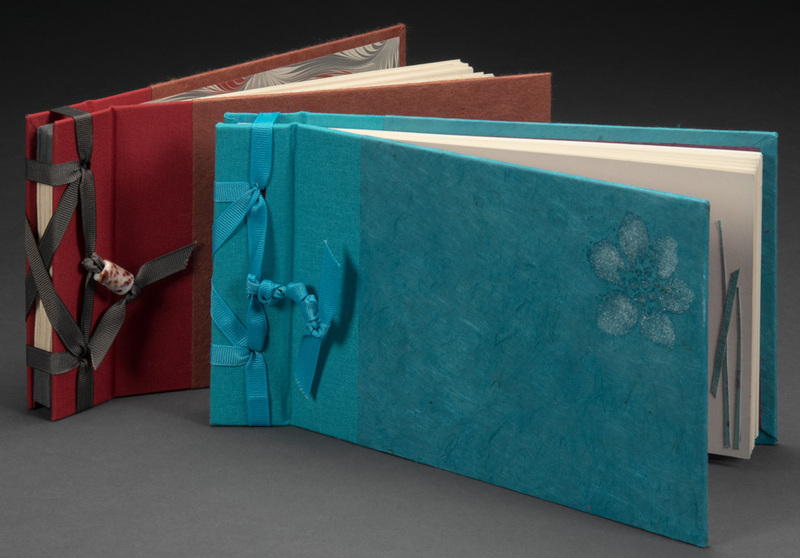 The binding of this book is a variation of Japanese stab binding. Its cover is book board and is hinged. Book cloth and imported papers cover the book. 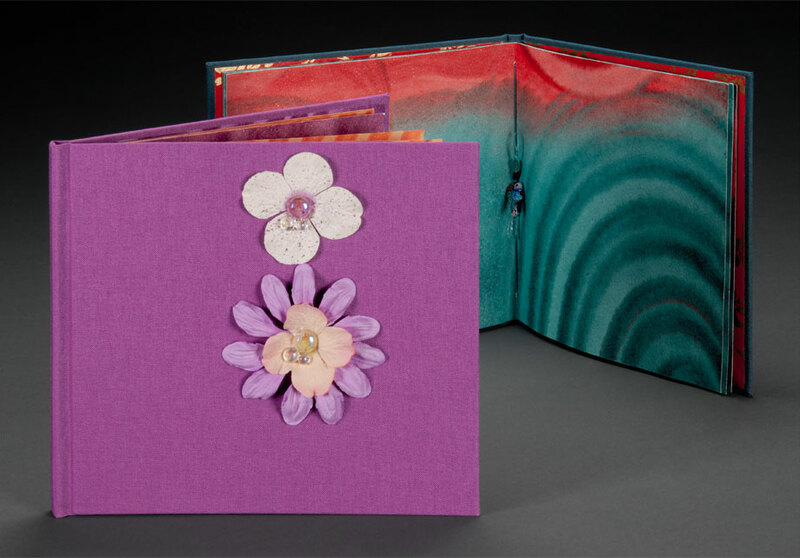 Grosgrain ribbon accented with a colorful glass barrel bead binds the book. © Copyright 2016 espebe. All Rights Reserved.